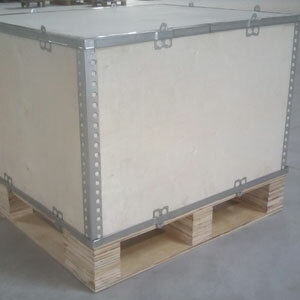 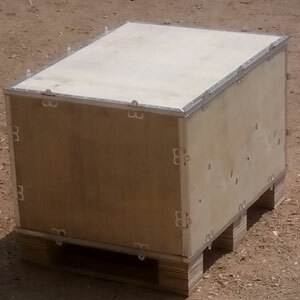 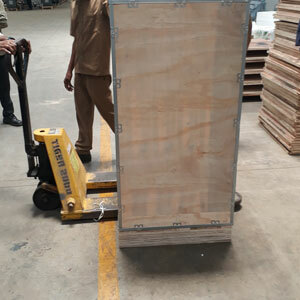 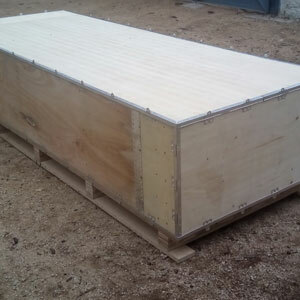 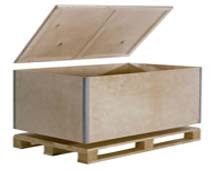 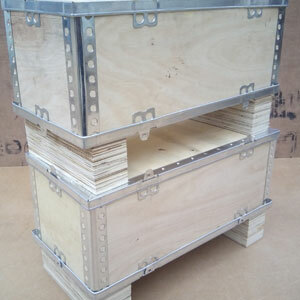 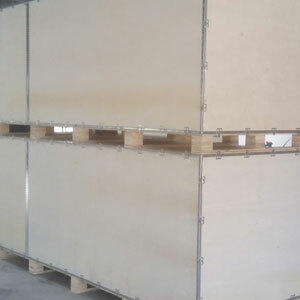 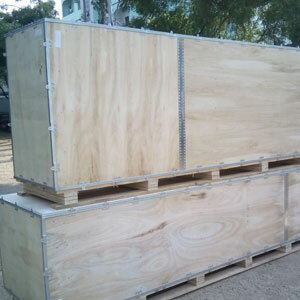 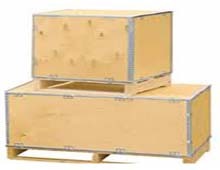 Foldable /collapsible/Nailless plywood boxes is part of our unique offering. 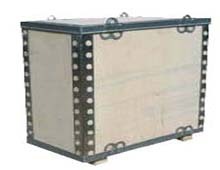 We offer wide range of foldable boxes in terms of sizes, strength and durability. 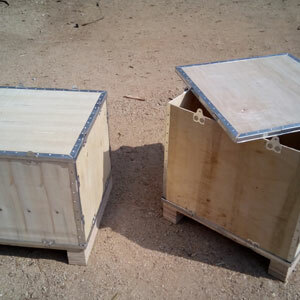 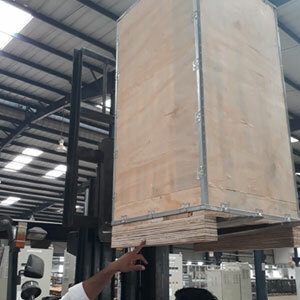 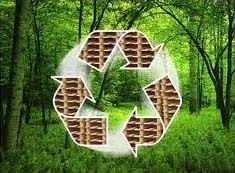 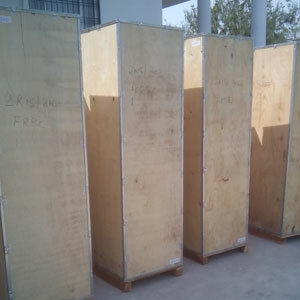 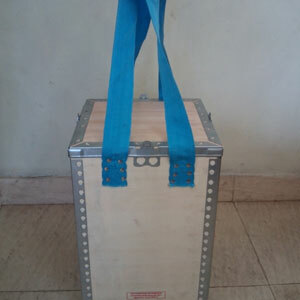 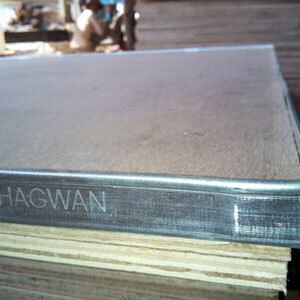 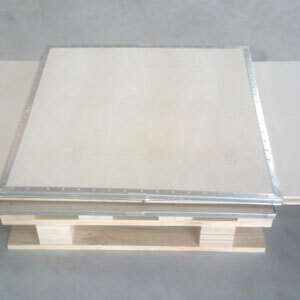 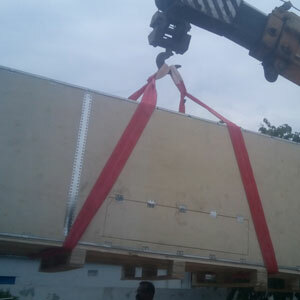 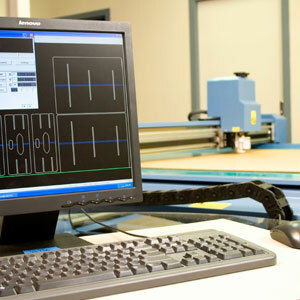 These boxes are manufactured by using plywood and specially designed metal strip at edges. 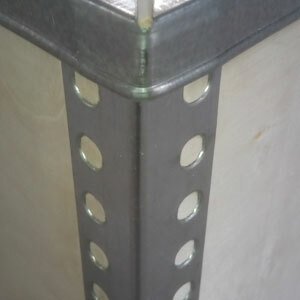 Metal edges provides extra reinforcement to plywood and act as strong hinges. 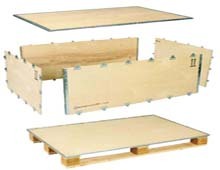 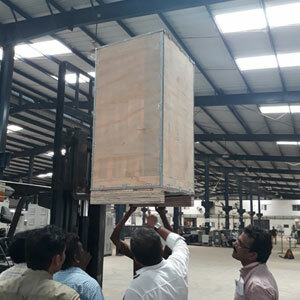 These boxes are very easy and quick to assemble and dissemble, thus saving lot of cost in terms of shipping and store space. 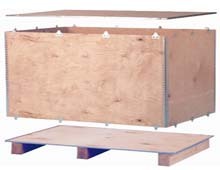 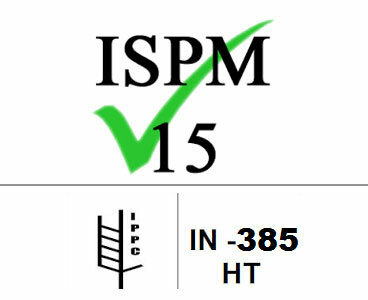 Low weight and less space save shipping costs. 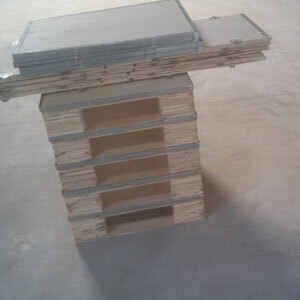 Occupy less store space and easy to store and stack. 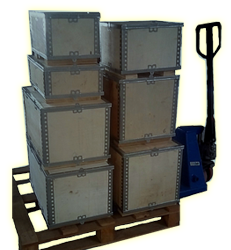 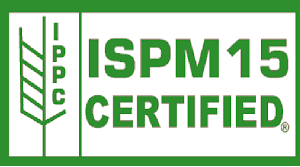 Compliance to international phytosanitary regulations for export consignments. 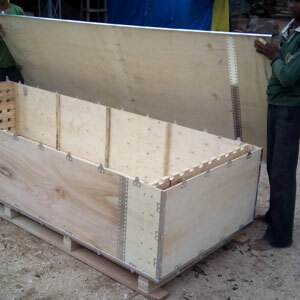 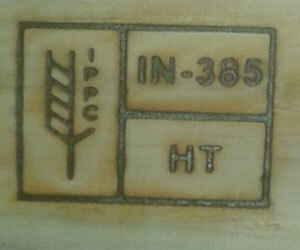 Custom sizes as per customers requirements. 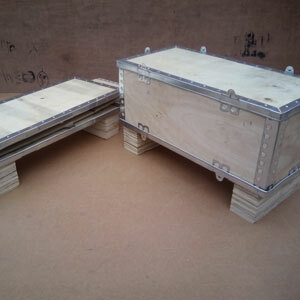 Branding, printing, logo etc can be placed on box. 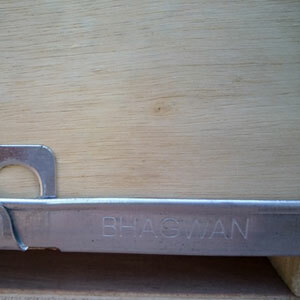 Customised accessories such as handles, hinges, latches can be fitted. 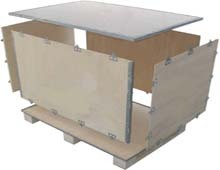 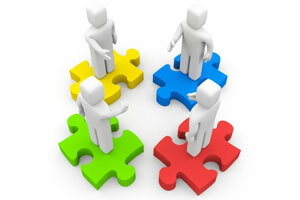 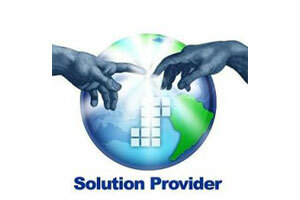 Compatible for UN hazardous packaging requirement. 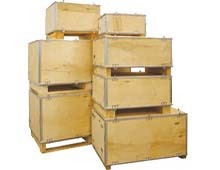 Savings in return shipping cost as it is collapsible. 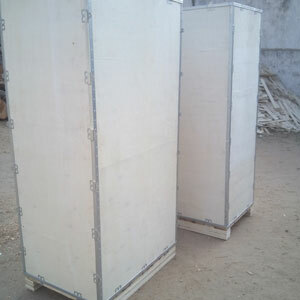 It can be collapased to three parts i.e., lid, foldable frame, bottom base. 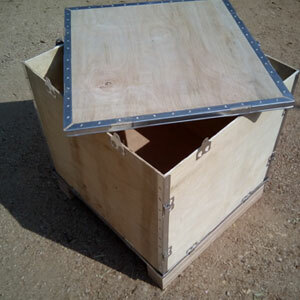 It can be collapsed to six part: lid, front , back 2 sides and bottom.